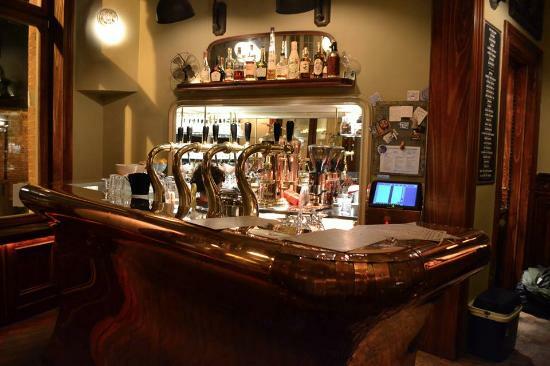 Located in Saint Gilles, not easy to find if you do not know it, this bar is a nice, cosy local establishment with very lively atmosphere and nice music. 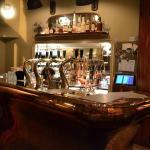 A bit off the beaten track, this bar offers a romantic atmosphere, an impressive range of gins, good beers, and an interesting mix of wonderful and friendly people visiting the bar. a little time travel. Wood and copper. cozy atmosphere. A beautiful nice quiet place for a drink. Good beers and wines. I'm hesitant to reveal how amazing this bar is. The ambiance is superb, the drinks list stellar, and the music is always awesome and perfect for having conversations over. I love this place so much! 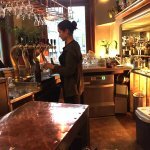 Great decor, nice atmosphere, beautiful bar and... Toilets ! Some special beers from local breweries but also a nice selection of wines. 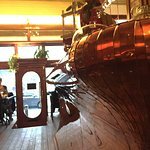 You couldn't ask for a more picturesque place to rest up after a day of sight-seeing around Ixelles and St-Gilles; this place just oozes old-world charm from a more glamorous age, but attracts a student crowd and no pretension. A real neighbourhood find. Get quick answers from La Belladone staff and past visitors.